Picture a large warehouse with rows and rows of floor to ceiling metal shelving stuffed with boxes. Each box has something glued or hanging on the front to let you know what the box contains. You will think the rooms go on forever. Add to that a Five Star Swarovski importer, a glass factory and gallery, local bead and antique shops, a bit of area history and you have an idea of the what to look forward to on this “Shop Vintage” Beadventure with tour leader Doris Coghill. Day 1. Saturday, April 27. Arrive in Providence. We will start our “Shop Vintage” Beadventure with arrival at the Providence airport and a shuttle ride to our hotel. The day will be completed with a welcome dinner. Depending on what time everyone arrives, we may have time to take a ride around town. Day 2. Sunday, April 28. Antique Shopping in Connecticut. Because the warehouses are closed on Sunday, we will spend the day antiquing. We will travel west from Providence just across the border into Connecticut to visit a town of antique shops (and we'll also stop at one or two shops along the way). Day 3. Monday, April 29. Vintage Swarovski Warehouse. 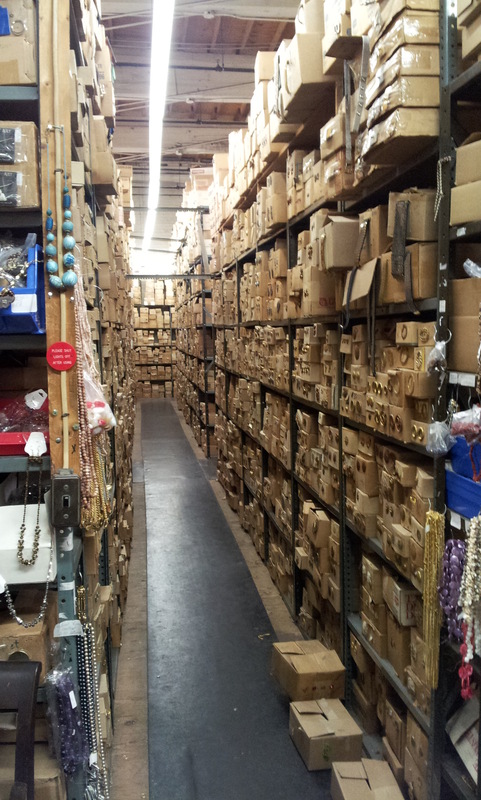 Today we will visit our first warehouse to dig through the aisles of treasurers and vintage Swarovski crystal beads and cabs. Depending on how long we spend digging through the shelves of vintage items, we will visit other bead/antuque stores. Days 3 - 5. Tuesday - Thursday, April 30 - May 2. Shopping & Seeing the Sights. The day-to-day schedule for these three days will be firmed up as we get coloser to the trip's dates. 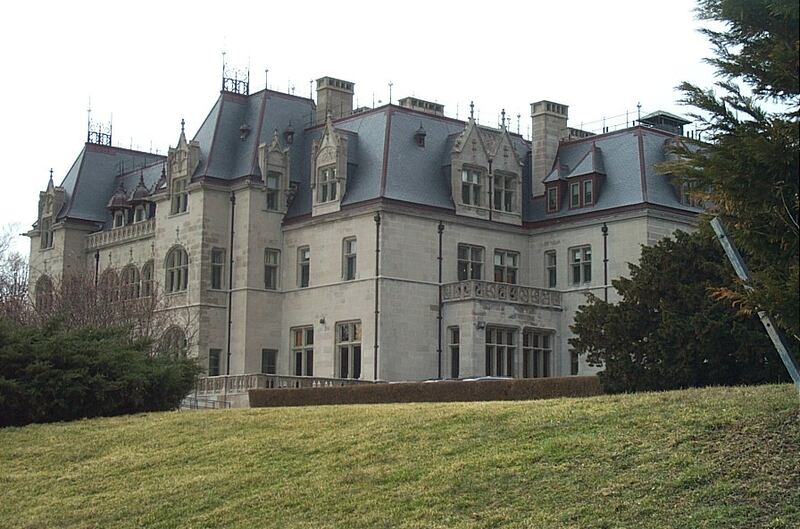 During these three days the group will travel to Newport for lunch and a tour of one of the "Golden Age" Newport mansions that line the Cliff Walk. During our visit we also will visit a working glass blowing studio and a company that sells settings for Swarovski stones along with their vintage warehouse items. The days also will include a visit to a five-star Swarovski dealer who will talk about Swarovski's history, show us the sample room of products they have sold during their many years in business, and tell us about all that Swarovski has to offer. 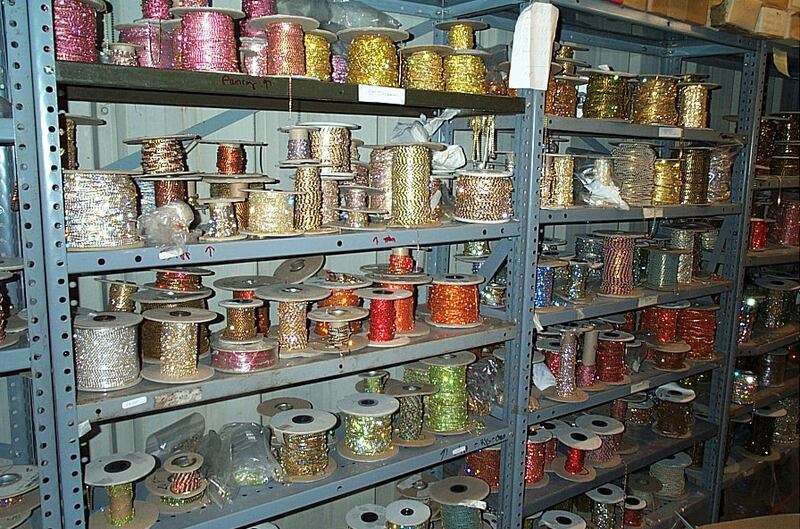 Did you know that not all of the colors of Swarovski crystals are produced by Swarovski? Some of them are aftermarket colors produced by this company. You will be able to shop, but will have to buy in factory packs. We also will visit yet another warehouse that is so big that the basement rooms have a yellow line from the basement entry door to the last room so that you can find your way back out. There also is a Swarovski room, a metal room, a findings room, a plastic room, plus so many more rooms that one loses count! The group also will tour the historic district and visit shops and galleries that showcase the local artists. We will also visit several of the local bead stores--and there will be a few more surprises! A farewell dinner (included) will wrap up the busy week of exploring, rummaging, and finding treasures. You will be able to leave anytime on Friday to return home--just make sure you have enough room in your luggage for all your finds! Doris leads our trips to the Czech Republic and to the warehouses of vintage crystals and beads in Providence, Rhode Island. Doris went on the very first Beadventure and was immediately hooked! She has been to India, South Africa and Ireland with Beadventures and has several more countries on her wish list. Doris owns Dee's Place, LLC, a web site mail order business. She also teaches classes locally in her home state of Minnesota and around the country and acts as a show promoter for two bead shows each year in the Minneapolis area as well as traveling to two others to teach and have a booth. You can see her projects in several of the national bead magazines and books as well as on television. Doris says that getting laid off from the corporate world (and going into beads full time) in 2000 was the best thing that ever happened to her. She went back to school to finish her degree and worked as a sales representative for a bead importer for eight years during which she traveled around the country doing bead shows for them. In addition to her "beady" work, Doris also serves on boards and/or handles websites and newsletters for several arts organizations and is a volunteer and board member for the Historical Society in her home town. Complete the registration form; return it and a $1000 deposit to hold your spot; balance due 90 days prior to start of Beadventure. You do not need a tax number to go on this trip, but if you one bring along several copies of your certificate to leave with the warehouses. When you purchase Swarovski items, you will have to buy them in factory pack quantities, which can range from half gross (72) to ten gross (1,440) packages, depending on the size of the item. Packs can be split with other tour members back at the hotel! About Rhode Island . . .
Small, but beautiful, Rhode Island is the smallest state—just 48 miles long and 37 miles wide. This feisty colony was the first to declare its independence from Britain but last to ratify the US Constitution. At one time it was a leader in the Industrial Revolution with multiple textile mills, machine and metal shops, and costume jewelry production. 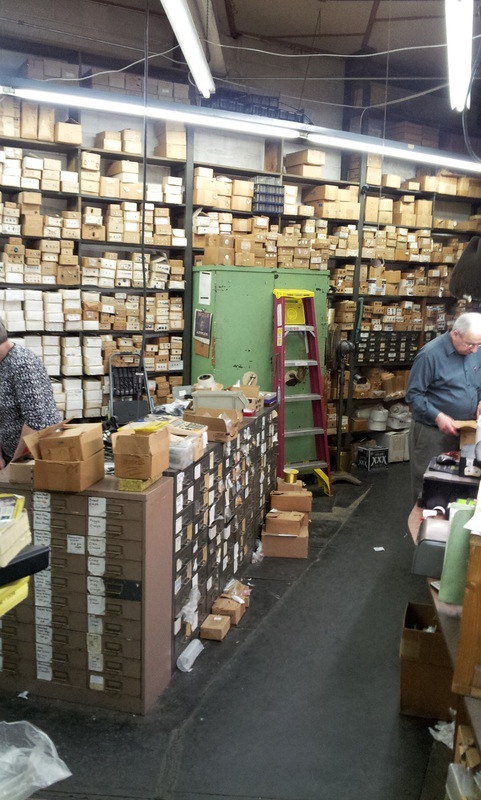 The costume jewelry manufacturing plants may no longer be located in Providence, but many of their suppliers and importers are still there. You’ll find warehouses full of findings, beads, crystals, cabs, and other items, both vintage and new that can be used for jewelry or other crafts. 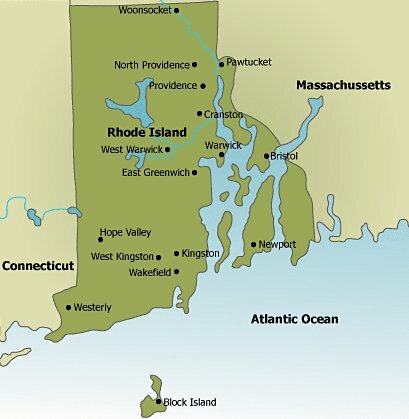 While Rhode Island is a small state, it does have 400 miles of shoreline and several large islands within its boundaries. Water cuts the state into two pieces and the Atlantic Ocean goes most of the way to the Massachusetts border. Providence Harbor stretches 30 miles from downtown to Narragansett Bay. Providence and its 100,000 population have preserved much of its past history. In 1890 Providence was the second largest woolen producing city in the US and you still can see many of the old mill buildings, which have been converted into Antique Shops or other commercial uses. Lining Benefit Street there are more than 200 restored buildings – what the locals call “The Mile of History”. Many of the houses and buildings have a plaque on the front telling you what year they were constructed and it is not unusual to see houses dating bacl to the 1700’s. jewelry at extremely low prices. This caused the production of costume jewelry to excel during the 19th century, especially in Providence. Nehemiah later expanded his business greatly, employing journeyman gold and silversmiths and apprentices to become the nation’s first mass producer of discount jewelry. By 1880 Rhode Island led all the states in percentage of residents employed in jewelry manufacturing. By 1900 there were 250 costume jewelry manufacturers located in and around Providence. One of the largest manufacturers located there was Coro who also produced items under the names Vendome, Cellini, Francois, and many others. The jewelry boom lasted until around 1950 when changing times led to four decades of economic decline, which ended the costume jewelry industry in Providence. So many of the companies were located in one place that an area of downtown is still called “The Jewelry District” even though the buildings have long since been converted to other uses.